I also enjoyed the pub sessions in the Port Charlotte Hotel (Grahame and Isabelle are great supporters of the Sessions, providing some of the accommodation for the musicians and Grahame opening the proceedings at the concert). Every time I'm fascinated by the various musicians just playing together, a huge variety of tunes. A great experience every time. There were also some special moments, like Laura-Beth Salter silencing the whole pub when singing a song while playing her mandolin and Adam Sutherland supporting her. I'm not sure how many tickets are still available, but if you're interested in hearing the music I suggest you check out the Islay Night on 16/Jan/2016 at Celtic Connections in Glasgow. 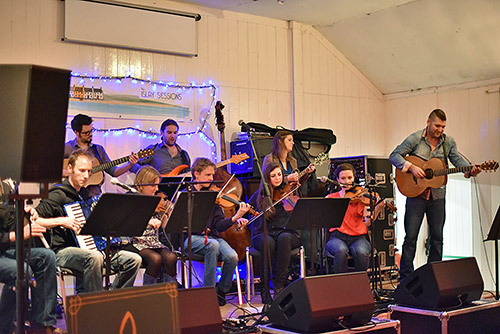 There will be music from both ‘The Islay Sessioners’ and local Islay talent.